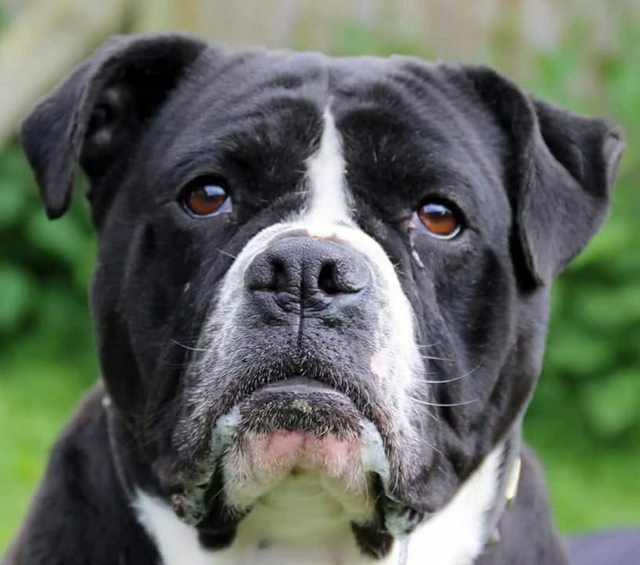 Stunning Bulldog cross Asha has been with us for a while now and we would dearly love to find her a furever home. This gorgeous girl has been through the mill in her short life and as such needs quite a specific furever home. She is an amazing character but needs a home with little ‘traffic’ where she won’t be forced to meet strangers and visitors and she can have her own space to retreat to if needs be. Asha can’t help that somewhere in the past she’s been badly treated by a human and as such this has left her with a fear of strangers and sudden movement. This isn’t something she will get over but it is something that can be dealt with by allowing Asha a safe space to retreat to. She’s a cracking little personality underneath her fear, comical in her behaviour when she feels safe enough to relax. She’s good with other dogs and loves to play. Can you offer our special girl the furever home she truly deserves?